The Toyark › General Toy News › Hot Toys To Make Inglorious Basterds Figures? 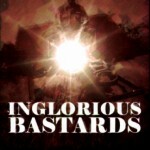 Hot Toys To Make Inglorious Basterds Figures? Hot Toys has recently posted a cryptic message on their Facebook page, asking the question “Who are the REAL BASTERDS”. 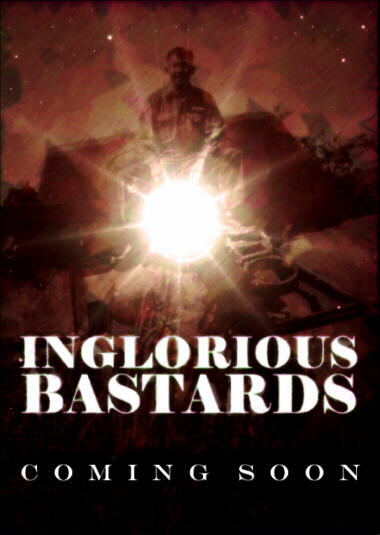 Based on the spelling of the second word, it look like Hot Toys may be producing figures for the upcoming Quentin Tarantino flick, Inglorious Basterds. The film features Brad Pitt as a Nazi exterminator during WWII. Nothing has been confirmed yet, but we’ll keep you posted! Cool. Can't wait to see this movie. Trust me. With a name like Quentin, it has to be good. With apologies to the Smucker family. Saw the movie today. 'lolwut' basically summarizes it, but in a good way! If they make these, I want a Bear Jew. I saw this movie today and it absolutely rocked. When it ended the audience went nuts with applause. If you like Quentin Tarantino movies then you will love this. Can't wait to see some images.